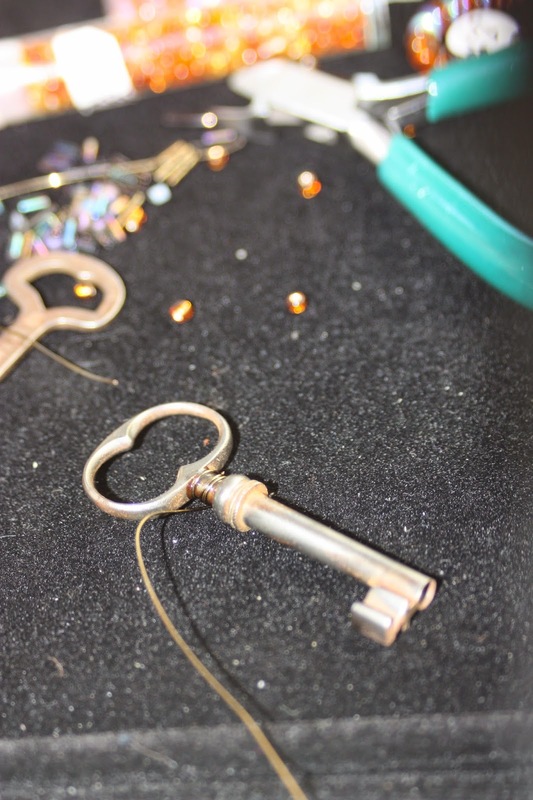 Last weekend the crafting club set out to see what exciting things we could make with skeleton keys and one of the things we came up with are these key chains. 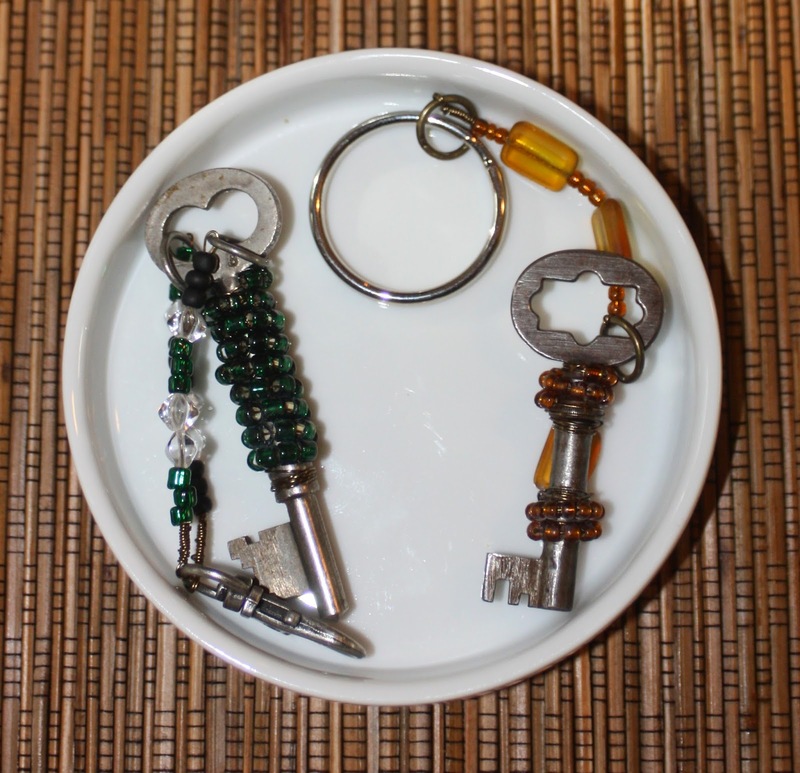 Easy and fun to make, you can have a key chain completed in twenty minutes or less. Cut your wire about two feet long, so you have plenty of wrapping room no matter what you decide to do. Hold the end of the wire close to the key and then wrap the wire around the key and the end one time. Put a little Gorilla Glue on the end and wrap the wire around the key two more times. String beads of the wire to achieve the desired effect. For this one, I strung them to fit around they key once and then added a bit more Gorilla Glue. Continue wrapping. I added a big bead in the middle of this one for impact. Then I continued with the smaller beads. I put Gorilla Glue on the end of the wire and wrapped it around several times. Cut another piece of wire (about ten inches) fold it in half and loop it through the top of the keychain. Add beads as desired. Once you've got it as long as you would like it, add a keyring to the top. Once the keyring is on, then wrap the tail of the wire around the main shaft of wire. Wrap it multiple times and then snip. Now you are ready to your add keys to the ring. These are a great idea. I see these keys at flea markets all the time and now I have a new use for them. Must.....buy.....more. Our winner is Petite - look for an e-mail soon.